Entrepreneurs thrive on competition and just as in elite sports, "winner takes all." One way of increasing the odds of success for startups is to become design-centric, and designers and design accelerators may offer a viable path. The first tech startup from The Design Accelerator in Pasadena, California, moves into Seed Early Stage after three years in business and over one thousand pitches. Metamason's founder and CEO Les Karpa, reflects on the journey from non-fundable to fundable, applying design strategy from Art Center's College of Design. Les has always been fascinated by the potential for 3D technology to affect design. It wasn't until he realized its potential for revolutionizing medicine, however, that he decided to start his own new entrepreneurial venture. Metamason uses cutting-edge 3D technology to scan, fit and print personalized medical devices. 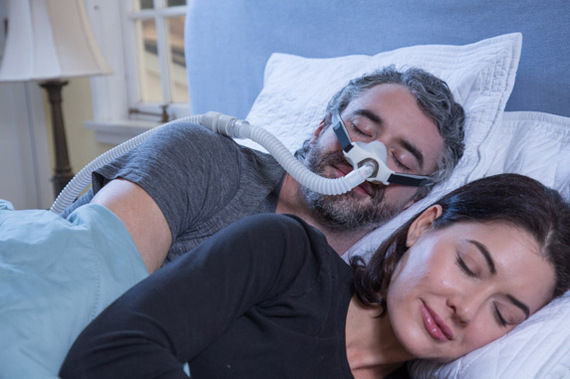 Its flagship product is a custom fit, 3D-printed CPAP mask designed to revolutionize treatment for Obstructive Sleep Apnea--the first of its kind. These customized products are not only beautiful and unique--they can have a massive impact on people's health and longevity. Les was invited to participate in The Design Accelerator (TDA), in the winter of 2013, by Mark Breitenberg, TDA's Co-Founder and then Special Assistant to the President of Art Center College of Design. Not only did Mark provide valuable design strategy input, he also connected Metamason up with a wealth of strong mentors who continue to advise and coach the company today on branding, corporate governance, market positioning, and design. TDA's advisory capacity helped optimize Metamason to make itself palatable to the company's recent Series Seed Investors. Fred Farina and the Office of Technology Transfer at Caltech have also helped Metamason surmount challenging technical hurdles by connecting them with experts in materials science and chemistry, as well as, securing quality interns from Caltech. Most importantly, TDA was instrumental in giving Metamason the momentum to cross 'the chasm' by solidifying a relationship with the Pasadena Angels, from whom he initially raised $220K within the Pre-Seed Friends & Family Round. Metamason then went on to raise $3M in a Series Seed Round in 2016. Karpas took the self-evaluative Founders Assessment on Applied Design Science's online crowdsourcing platform, where he received top marks in design and scored above average as an entrepreneur in the key performance metrics for founders: Self-management, Adaptability, and Grit. The success he achieved in securing initial funding was also evident in his performance in the categories of Design and Combined Risk when we compared it with the averaged assessment scores of three industry experts. These results showed high scores for Metamason in the area of design, and suggested that the company has taken on a somewhat above-average amount of risk for a first-time startup. 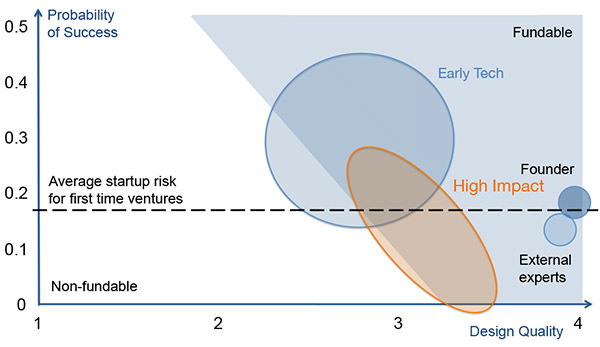 As such, Metamason more strongly resembles a High-Impact venture than a regular Early Phase Tech venture. Les acknowledges it has been quite a journey from pitching his first conceptual designs to the Pasadena Angels, to holding a fully funded prototype in his hands today. Metamason now holds two patents and clinical trials are underway, with a limited market release scheduled for later this year. Building a startup is far from a solo sport, and being design-centric with a strong Why, How and What has helped galvanize the sustained support of investors and advisors, as well as generate an outpouring of interest and enthusiasm from sleep doctors and patients. Now, Les and his team stand ready to bring the world a truly personalized, life-changing product. Special thanks to Les Karpas for researching and co-writing this article.